The men’s and women’s tennis teams combined for a 1-3 record last weekend as their spring season winded down before the Patriot League Tournament. The men were victorious on Saturday at home against Niagara by a score of 6-1, before dropping matches to University of Delaware and Bucknell University on Sunday and Tuesday, respectively. On Tuesday evening, the men’s team hosted Bucknell for a conference match and lost 4-1. The teams were originally slated to play outdoors at the Sullivan Courts before an afternoon downpour rendered the courts unplayable. The match was moved indoors and pushed back five hours, leading to an odd 9 p.m. start, which was a challenge for some players according to sophomore John Yurconic. “It felt kind of weird, I didn’t feel energized right away and I think it showed in the doubles [match],” he said. After losing his doubles match with fellow sophomore, Dan Kramer, Yurconic won his singles match 6-4, 6-2, to secure the only team point on the evening for the Leopards. “You got to find a way to win,” he added. The women lost their lone match of the weekend, dropping a close 4-3 contest on Saturday against Niagara University in Easton. The Patriot League Tournament starts for the men on April 18 and for the women on April 25. In the Niagara matches, the men won both doubles matches and five of six singles matches en route to a 6-1 victory. 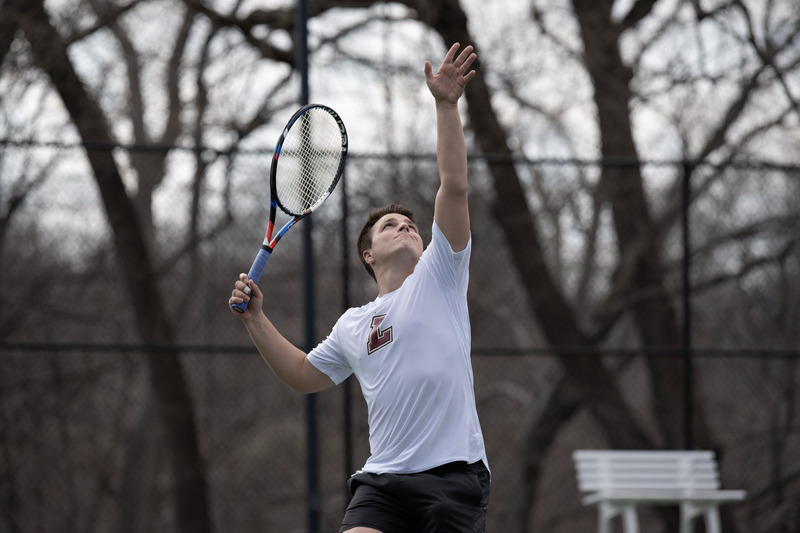 The duo of Yurconic and Kramer won their doubles match 7-6, and freshman William Barry and sophomore Brandt Baldwin earned an identical 7-6 doubles win to clinch the team point for the Leopards. All four players also won their singles matches. On the women’s side against Niagara, freshman Maureen McCormack and sophomore Samantha Snyder teamed up to grab a doubles point for the Leopards, winning 6-0. Niagara won the other two doubles matches to earn the team point, but Lafayette clawed back with three singles wins to take a 3-2 lead. McCormack and juniors Meredith Block and Katie Hill all won their singles matches, but Niagara collected the final two team points with victories in No. 1 and No. 2 singles to win the match. After the Niagara match, the men travelled to Newark, Del., and lost their match 5-2 to the Delaware Blue Hens. 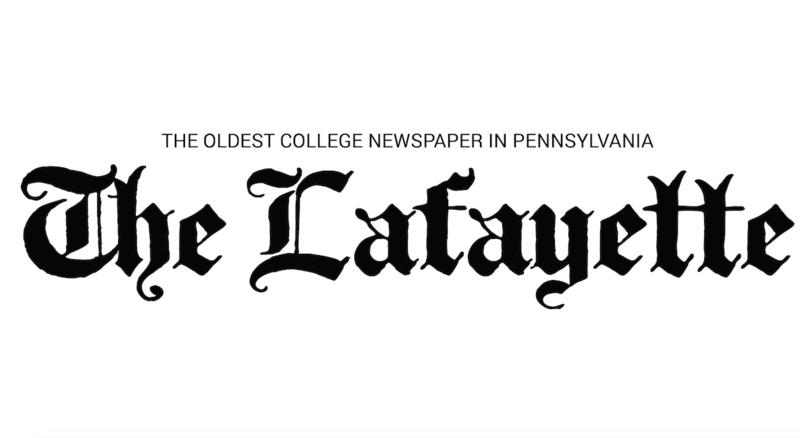 Yurconic and Kramer were again victorious in doubles play, winning 6-1 over their opponent with Kramer picking up an additional singles win to earn another point for Lafayette. Freshman Ross Coleman accounted for the other team point for the Leopards after his opponent retired with Coleman leading 5-2. With three matches remaining for the women, and just one for the men before the Patriot League Tournament begins, Lesnick said the team is working on their consistency as they approach the end of the regular season. “No matter who we play or how they play, we need to be able to stay calm and not give away free points,” she said. Cooke said the team is looking to improve their “positive, encouraging, and upbeat mentality on the court” in preparation for the conference tournament. Next up for the women’s team is a matchup this afternoon at home against East Stroudsburg University at 4 p.m., while the men will travel to rival Lehigh for a Saturday matchup also at 4 p.m.